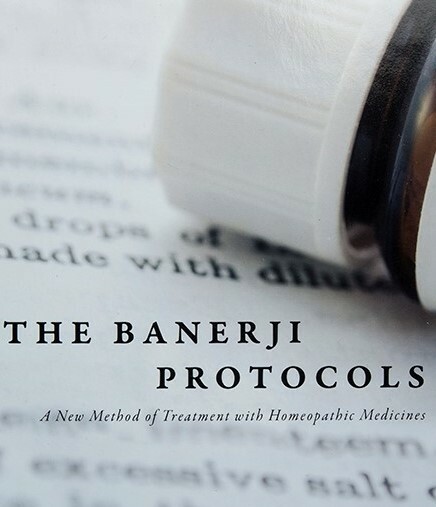 The Banerji Protocols is a new method of treatment using homeopathic medicines. Specific medicines are prescribed for specific diseases. Diseases are diagnosed using modern/state of the art methods. This is done because modern diagnostic approaches incorporate and help in the selection of medicines so that specific medicines could be easily prescribed for specific diseases. This is not practiced in classical homeopathy. The concept of specific homeopathic medicine for a disease based on symptoms was first perceived and practiced by Late Dr. Pareshnath Banerji. With the passage of time and the availability of new diagnostic tools like Ultrasonography, MRIs, cancer markers and other advanced tests, we were able to further streamline the treatment protocols accurately. The efficiency of this streamlining is reflected by the encouraging results of The Banerji Protocols. In The Banerji Protocols of treatment, mixtures of remedies or frequent repetitions of the remedies are used when required.